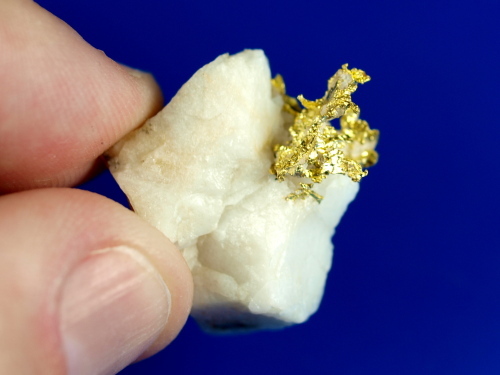 Here is a natural gold in quartz specimen from California. 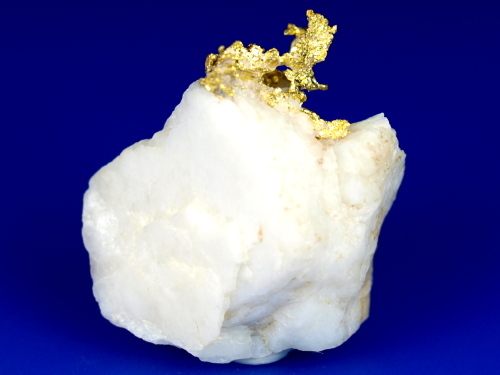 It has a lovely contrast of white quartz and bright clean gold. 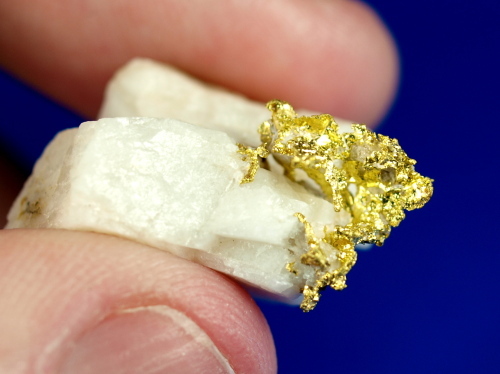 The gold outcrop is crystalline and looks like a flame shooting out of the quartz. 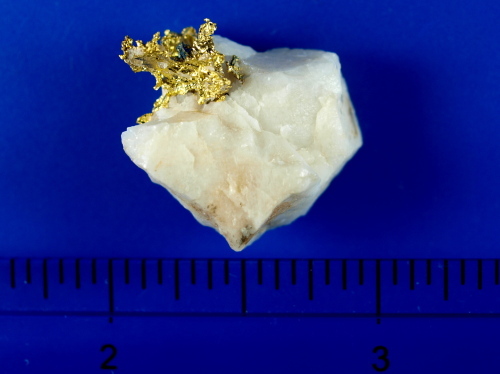 The total weight of the piece is 6.70 grams.